BITCOIN is booming. Investors are piling into the digital currency, which is not issued by a central bank but is conjured into being by cryptographic software running on a network of volunteers’ computers. This week the price of a Bitcoin soared to above $1,000, from less than $15 in January. Having long been favoured by libertarians, gold bugs and drug dealers, Bitcoin is attracting some surprising new fans. Germany has recognised it as a “unit of account”. Ben Bernanke, chairman of the Federal Reserve, told a Senate committee on virtual currencies that the idea “may hold long-term promise”. A small but growing band of shops and firms accept payments in Bitcoin. Some like the way it allows funds to be transferred directly between users, without middlemen. Others are attracted by the potential for anonymous transfers, or by the fact that the number of Bitcoins in circulation has a fixed upper limit—so there is no way a central bank can inflate their value away by issuing more. But the recent price surge, driven by Chinese investors stashing money offshore, looks like a classic bubble. Hoarding means that Bitcoin is currently more of a speculative asset than a currency. And a crash is not the only risk Bitcoin users face. As the price rises, Bitcoin theft is increasing, both from individuals and from online exchanges that store the coins and convert them into other currencies. Around $1m in Bitcoins was recently stolen from BIPS, a European exchange. GBL, a Chinese Bitcoin exchange, abruptly vanished in October, taking $4.1m-worth of deposits with it. The system itself is straining at the seams (see Technology Quarterly). The amount of computing power consumed by its transaction-verification system, which has the side-effect of “mining” new Bitcoins, is mushrooming: it now far exceeds that of the world’s 500 fastest supercomputers combined. At the same time Bitcoin’s method of recording and processing transactions, and compensating those who verify them, is becoming unwieldy. Adjusting Bitcoin’s protocols, however, requires getting the volunteers who maintain its software to agree on the necessary changes, and the Bitcoin community to adopt them, before anything goes wrong. Excitement about Bitcoin, and concerns about its limitations, have prompted the emergence of many other cryptocurrencies, or altcoins. 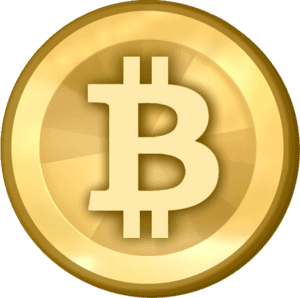 April 7, 2019 - Bitcoin (BTC) Is Not a “Joke” or a “Bubble”, $6,000 Easy Target newsBTCBitcoin prices up 25 percent in the last week Investment by high net-worth investors and corporations mean Bitcoin is here to stay. Wall Street leaders. March 20, 2019 - Crypto country: Ex-Soviet state Belarus uses bitcoin bubble to boost its tech sector ZDNetEurope's last dictatorship wants to promote itself as a forward-thinking technology-powered nation.